The Nyungwe Nziza (“Beautiful Nyungwe”) project, funded by the U.S. Agency for International Development (USAID), was named one of the winners of the Society of American Travel Writers’ (SATW) Phoenix Awards at SATW’s annual convention in Biloxi, Mississippi, this month. USAID’s involvement in Nyungwe dates back over 20 years, and since the forest’s designation as a national park in 2007 USAID has had active projects in conservation and ecotourism, engaging collaboratively with the Government of Rwanda to support its efforts to independently and responsibly manage the park and its resources. Diversify the local economy, create jobs, and increase family income, resulting in reduced poverty and reduced threats. Forge scalable and creative public-private partnerships to increase investment in and around the park, resulting in a sustainable, market-driven ecotourism business plan for the park. Improve the ecotourism enabling environment, resulting in sustainable ecotourism development at Nyungwe and beyond. Better integrate local communities into existing and new ecotourism value chains. 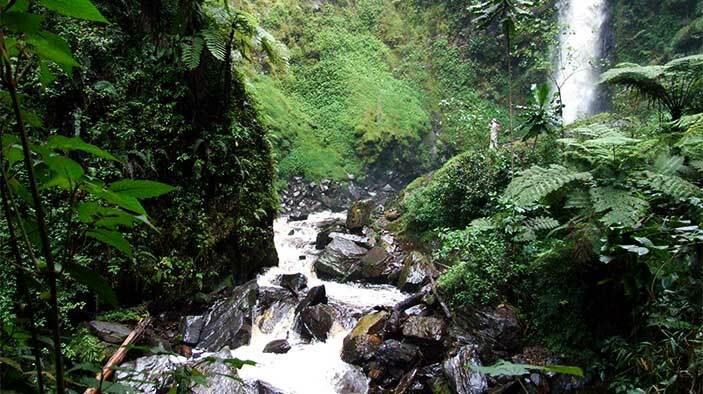 Nyungwe Nziza is implemented in collaboration with SW Associates, a Washington, D.C.-based international consulting firm, and the U.S. National Park Service. For further information about the project, contact Boaz Tumwesigye.